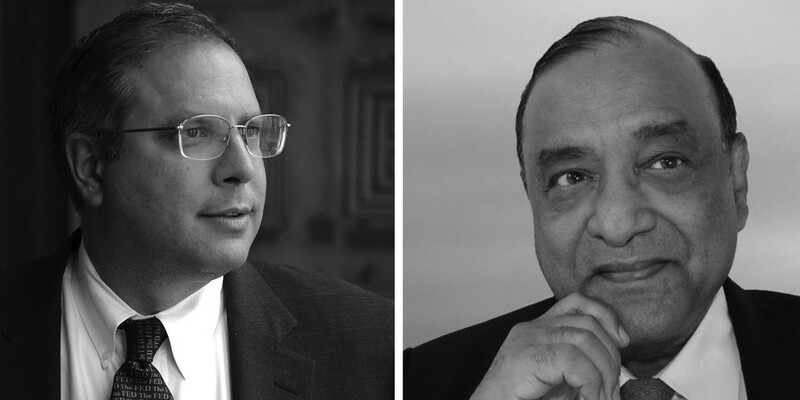 UChicago professors Anil Kashyap and Raaj Sah have been named by the government of Japan as recipients of the Order of the Rising Sun, the third-highest honor the Japanese government can bestow. The modern version of the award was made available to non-Japanese citizens in addition to Japanese citizens in 1981. The order, originally established in 1875 by Japanese Emperor Meiji to honor civil or military achievement, now honors those who have made advancements in a specific field, contributed to Japanese culture, or helped developed environmental welfare or preservation efforts. Kashyap is the Edward Eagle Brown Professor of Economics and Finance at the Booth School of Business. He has worked at the University since 1991. His research has focused on the prolonged economic crisis in Japan, which began in the early 1990s, but his interest in the Japanese economy stretches back to his time as a graduate student at MIT. Starting in 2001, Kashyap helped organize conferences that brought prominent U.S. economists to Japan. These meetings, organized under the Cabinet Office of Japan, worked to revitalize Japan’s economy during the crisis. “It has been an honor and a privilege to work with the Cabinet office on these conferences. They have generated many good research papers, forged some collaborations and hopefully have helped with the policy process,” Kashyap said. Sah, professor of public policy and economics at the Harris School of Public Policy, has been interested in Japan’s economy since his childhood. Unlike Kashyap, Sah’s work has focused on Japanese tax reforms, public revenues, deficits, and redistribution. “I am humbled. My long association with Japan has profoundly influenced how I try to understand the world. I am deeply grateful to my colleagues in Japan who, through these years, have generously shared their wisdom and time with me,” he said.